for some reason that puzzle almost had me at one point, but I hung on & got it, great picture! Oh my, that is such a great photo=I love it. It is one that belongs in some nature or dog magazine, etc. 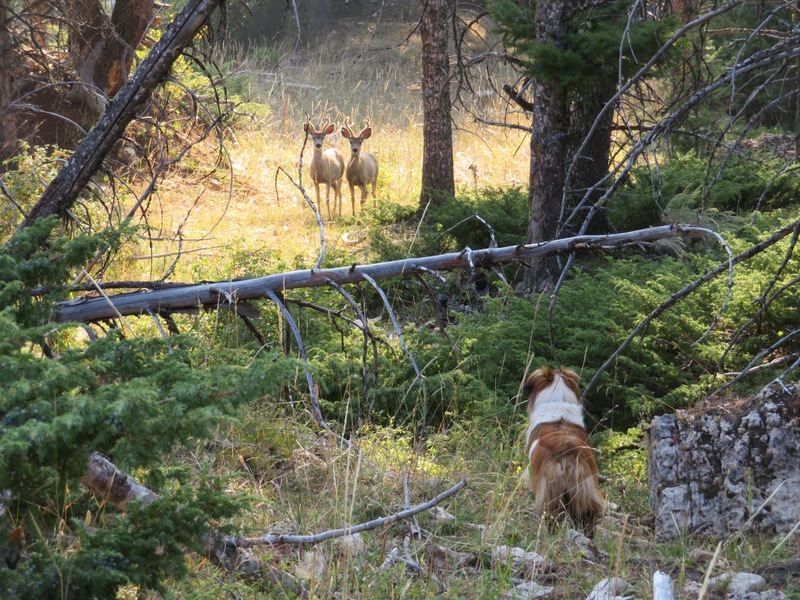 It is really special, with two young fawns staring at the dog and the dog staring back. A moment to treasure, that probably didn’t last long after you snapped the photo button. And thanks for the puzzle–I love working those too. be a good one for your next calendar! 🙂 Also a nice greeting card.